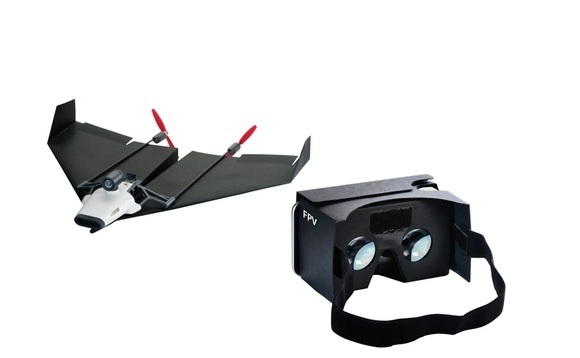 PowerUp FPV is the world’s first Paper Airplane drone with a live-streaming camera on it. PowerUp FPV creates a flying WiFi Hotspot, letting CONSUMERS connect their smartphones and control it. You can use either with joypad mode, or pop it into a Google Cardboard headset and take flight with First-Person View (FPV) mode and control by simply turning your head. PowerUp FPV gives people the experience and POV of what it’s like to sit in the cockpit of a paper airplane that they constructed. I have a background as a pilot and industrial designer. For our previous Kickstarter, I was inspired to build something while I was teaching aeronautics to a class of immigrant science students. With the PowerUp 3.0, we put a smartphone controlled motor on a paper airplane, and it took off to become the most successful Kickstarter in the flight category. But, it was our supporters of that Kickstarter who inspired this project. The one thing many people said that they wanted was a video camera on their paper airplane. We took it a step further and decided to stream the video from the camera directly to Google Cardboard so you can see in real-time what the airplane sees. After a year of development, and excellent partnership with the folks at Parrot, we’re proud to make the PowerUp FPV a reality. The basics is that we need the funding to make it our idea a reality. But with Kickstarter we also learn from the engagement of our backers what they think about the idea. 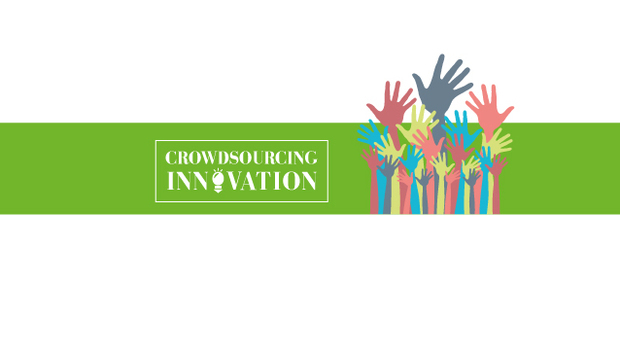 Crowdfunding sites are a battleground for your ideas. A successful Kickstarter can validate a market need or desire for your product, and a minimally successful or unsuccessful project can be a reality-check for people that are drinking their own “Kool-aid.” It’s also a place where you can do something fun, creative - and even humorous - that doesn’t just target a lowest-common denominator, but really pushes the creativity of your brand. If a project goes completely wild, like our first campaign, you can use it to forecast future sales, enter into brick-and-mortar sales and distribution, and you’ve created a very loyal fan base. If a project fails, you can learn a lot about what the market really wants, and how to adjust for future campaigns or ideas. We were funded within 4 hours, and hit 150% of our goal by the end of day 1. This was great momentum and we’re continuing to grow. And, thus far the feedback has been encouraging as people are excited about the project and the technology. We learned just sticking to your objectives and not promising endless stretch goals and rewards is fine. Too many projects have failed by promising the world and failing to deliver, we will focus on quality and meeting our delivery schedule. Beta backers will receive their rewards starting March, 2016; and a June 1 shipment for the remaining backers - just in time for Father’s Day. Does the PowerUp FPV count as a UAV and what are the rules around flying it? One of the qualifying factors is weight. We’ve kept the weight of the module to around 60g, (about 2oz) which helps us avoid some of the regulations. In the end, it’s still a paper airplane. The PowerUp FPV is an update to the classic paper plane - do kids expect toys to have an element of technology in them nowadays? I think everyone is first inspired about flight by folding paper airplanes. We build them to daydream, to experiment and to make something with our hands that can defy gravity. Whether kids expect technology with it, I can’t say. But I know that we’re always finding new ways to enhance the old with something new. One thing that has been encouraging is watching students use our PowerUp 2.0 and 3.0 in STEM classrooms. We recently partnered with Project Lead the Way, a leader in STEM curriculum, to build specific aeronautical instruction. We let kids experiment with different designs, and challenge their understanding of flight by adding a motor. They can learn about lift, roll, yaw, just like a pilot learns - but with the safety and affordability of a paper airplane. What’s the most efficient paper plan design? That depends on what you’re goal is. There are gliders, darts, airfoils and thousands of designs - each with a different benefit. We’ve found that if you want a long-sustained flight with the PowerUp, omni-wing design tends to work best. We call this design the “Invader.” We also have a number of free templates available on our website - including one (the “Trainer”) from John Collins, the world record holder for paper airplane distance - that you can download and print on a piece of paper, and try for yourself. We developed the PowerUp FPV as a recreational device. But, we could always see people using our open SDK to create a live-streaming capabilities for other applications - including broadcasting your flight across Meerkat or Periscope; taking videos of interesting locations; paper airplane drone racing, [drone] dog fighting and flying in formation like the Blue Angels, or more. The sky's the limit - quite literally. A lot of our inspiration comes from what our community dreams up. They could be future products for us, or even simple templates to create something new. But for now, we’re thinking of ideas for how we utilise the telemetry of our sensors, and perhaps adding additional GPS sensors to take it a step further.